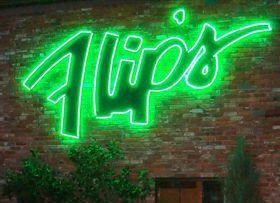 Classic, friendly and unpretentious, Flip's Wine Bar and Trattoria has been serving delicious Italian specialties and providing a casual late-night gathering place for over 20 years. In addition to Sunday brunch, Flip's offers lunch, dinner and late-night menus. The late-night menu is available until 1am. Flip's features over 200 different wines, 30 of which are offered by the glass, along with 50 beers and a full range of spirits. Kick back and enjoy the quaint, yet comfortably hip ambiance of this spirited neighborhood Italian restaurant and wine bar. Visit Flip's for lunch or dinner and make sure to start your meal with the Italian nachos. 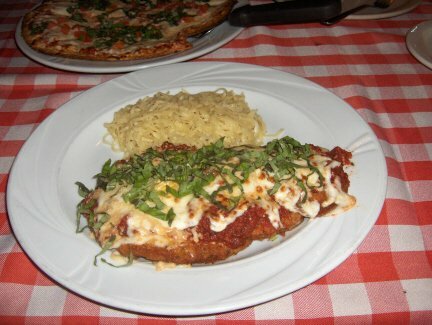 Sample savory pasta dishes such as beef lasagna, manicotti, chicken parmesan, pesto and gorgonzola veggies or tortellini. 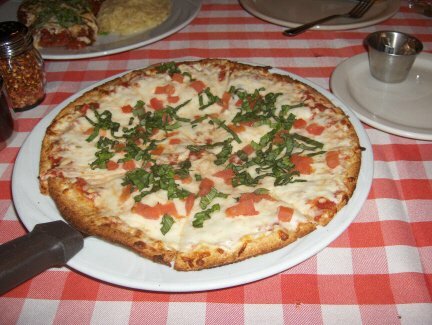 Try a pizza or calzone, such as The Lombardy, vegetarian, four cheese or sausage and pepperoni. 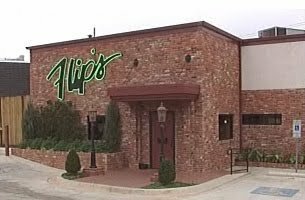 Flip's also serves Sunday brunch, offering favorites like eggs Benedict and mimosas. Located at the corner of N Western Ave & NW Grand Blvd.